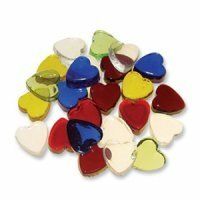 Miniature Flower glass shapes are perfect for a wide range of crafts! 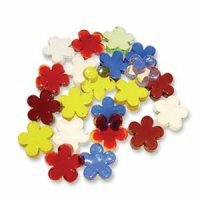 Pre-cut and brightly colored, they can be embedded in soaps, candles and mosaics or added to fish tanks or floral arrangements for added interest. Each piece is about 4 to 5 mil. (1/8") thick. 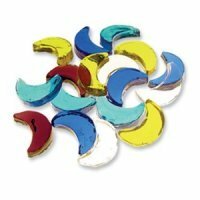 Shapes have a smooth front and back for easy adhesion in mosaic applications or incorporate into stained glass projects.